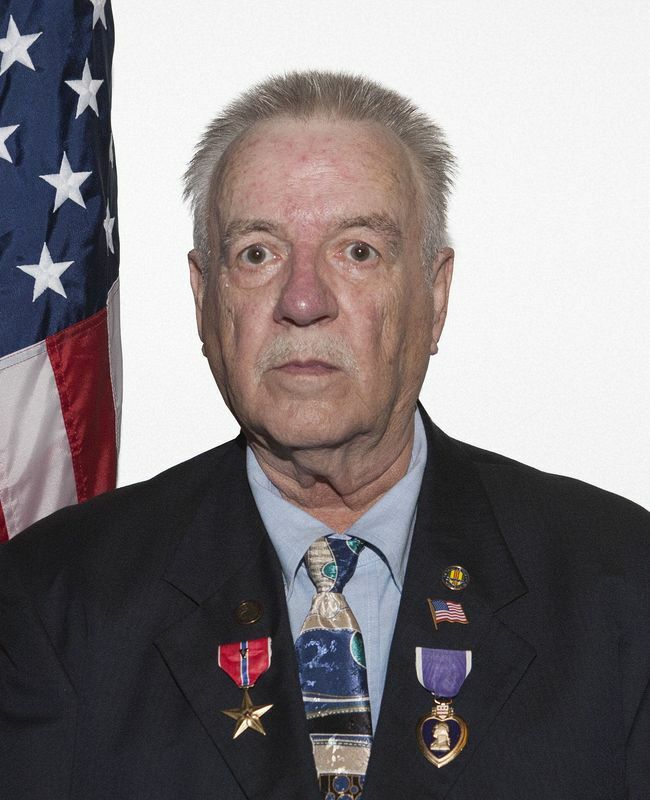 ﻿Douglas Wayne Nayman is a native of Madison County and served in the US Army in Vietnam in 1967 during which time he was awarded for his brave and heroic actions against hostile forces. On March 12th 1967, then Specialist four Doug Nayman, was serving as a grenadier in the 3rd platoon, Company A, 2nd Battalion 35th Infantry. On that date, Alpha Company was engaged in a search and destroy operation in the Kontum Province when heavy contact was made with a large enemy force. When the platoon formed a perimeter, Specialist Nayman was assigned to support the machine gun crew….. Perceiving that some wounded personnel, because of their position, were in danger, he completely disregarded his own safety and moved to an unprotected area from which he could cover both the wounded and the machine gun crew. Later, as the enemy attacked in even larger numbers, Specialist Nayman’s grenade launcher misfired….. Taking a nearby rifle, he moved into a position, with no personal protection, and forced the enemy to retreat by bringing highly accurate and effective fire again them. Following this attack, the platoon aidman was wounded by a sniper…. Despite the continuing sniper fire, Doug Nayman crawled outside the perimeter and eliminated the sniper with a hand grenade…. He then returned to help the aidman and remained at a defensive position thru-out the day and night…. Not until the platoon was relieved the next day did he mention, that he himself, had been wounded. For his outstanding display of personal bravery, aggressiveness, and devotion to duty Specialist Four Nayman was awarded the Bronze Star with Valor. Doug and his wife, Regina, have been married 35 years and have two sons….. At last count he said they have 12 grandchildren and 5 great grandchildren. Doug’s family has a lot of military history…. He was in the Army, of course… his brother, Don, served in the marines…. And his brother, Neal, served in the Navy…. All during the Vietnam era.